"No Country for Old Men," the film adaptation of Cormac McCarthy's novel by Ethan and Joel Coen (they share writing and directing credits) screened in competition at the Cannes Film Festival Saturday morning. Early reviews are spectacular. 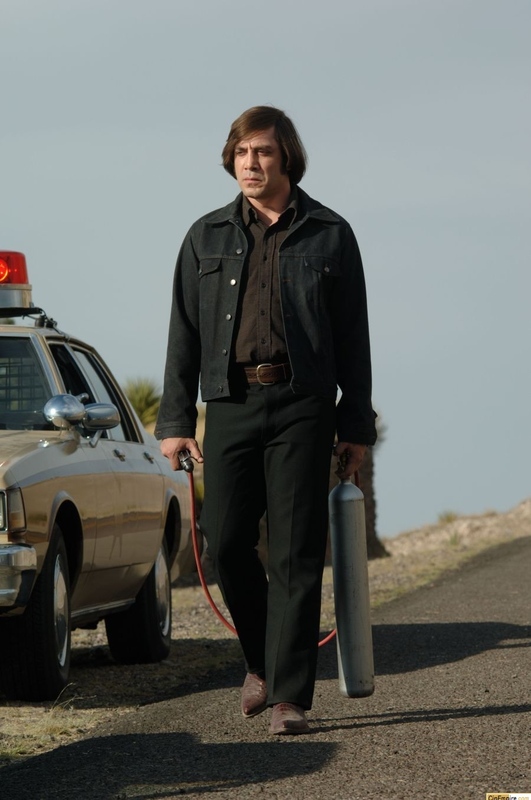 "A scorching blast of tense genre filmmaking shot through with rich veins of melancholy, down-home philosophy and dark, dark humor, "No Country for Old Men" reps a superior match of source material and filmmaking talent. Cormac McCarthy's bracing and brilliant novel is gold for the Coen brothers, who have handled it respectfully but not slavishly, using its built-in cinematic values while cutting for brevity and infusing it with their own touch. Result is one of the their very best films, a bloody classic of its type destined for acclaim," writes Todd McCarthy for Variety. Glenn Kenny, writing on his Premiere blog, calls "No Country for Old Men," "three quarters of a masterpiece," but also notes, "Even as I'm chewing on it while typing this, I've got a feeling I may be calling Country a full-fledged masterpiece after I catch it a second time. Or maybe even before then." Anne Thompson writing on her Variety blog notes, "It's going to be hard to beat for the Palme d'Or. Unless Miramax messes up the movie's fall release (it will need delicate handling, although it will earn rave reviews, because it is not overtly commercial), I see a strong Oscar run."